Comments: Wilma Ruth Lang (Nee: Eldridge) | Lookout Mt. 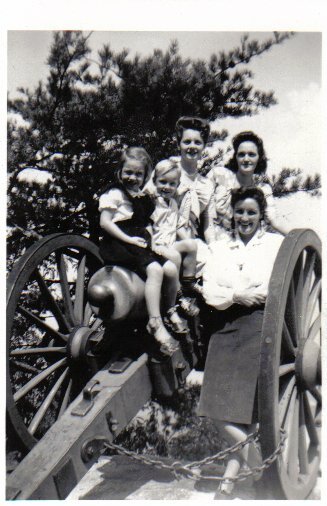 USA | 1941-1960 | Comments: The back of this photo contains the following inscription: "Beverly, Helen, Kids and I on Lookout Mt." The "I" in the picture is Wilma Ruth (Eldridge) Lang. I think that Beverly and Helen are her sisters and I do not know who the kids are.